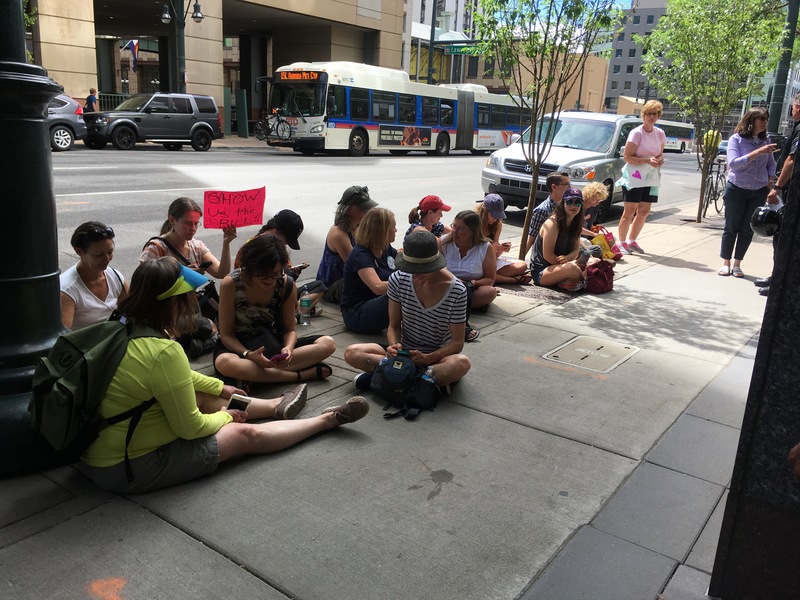 Several dozen peaceful protesters were threatened with trespass charges today while sitting at Colorado Senator Cory Gardner’s office. The sit-in was organized by Ultraviolet–a progressive women’s rights organization–to protest the secretive Senate attempt to repeal the Affordable Care Act. So far, attendees are sticking to that promise, having moved to the public sidewalk where their constitutional rights to protest are protected. At this time, Gardner’s office is accepting concerned citizens in groups of five. Today’s events come as the senator reportedly linked progressive protesters to the tragic shooting of a Republican congressman on Wednesday. See the full video below of Denver Police politely threatening the peaceful protestors with arrest.